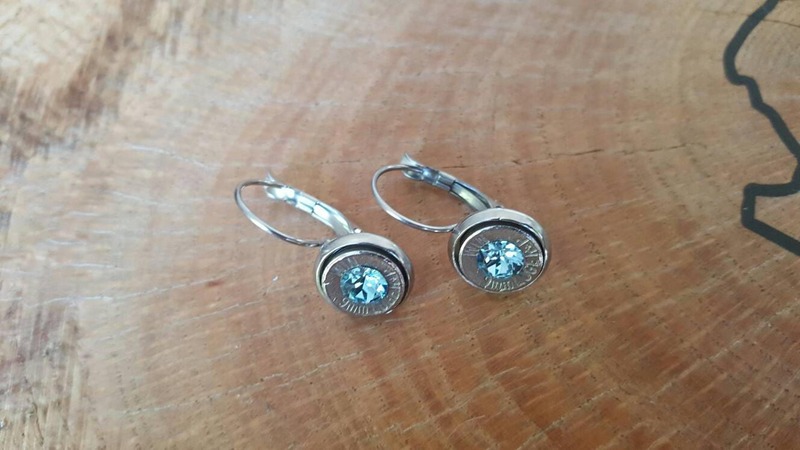 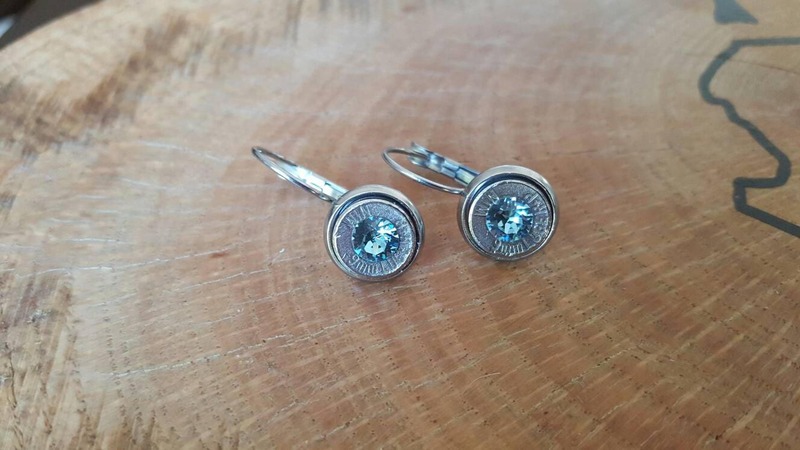 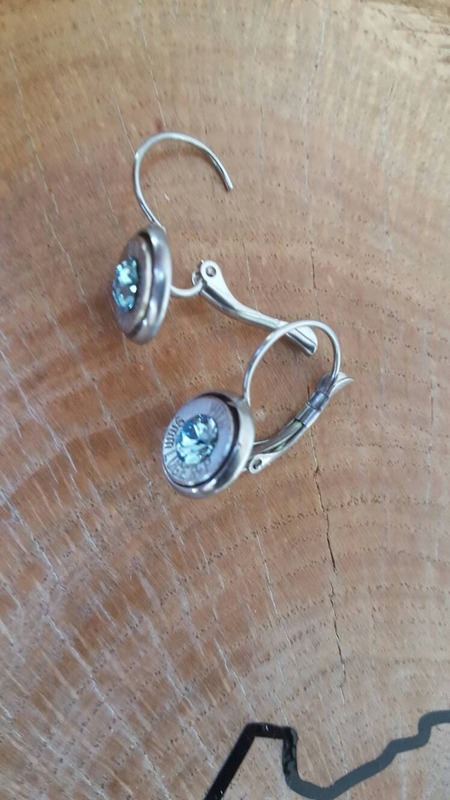 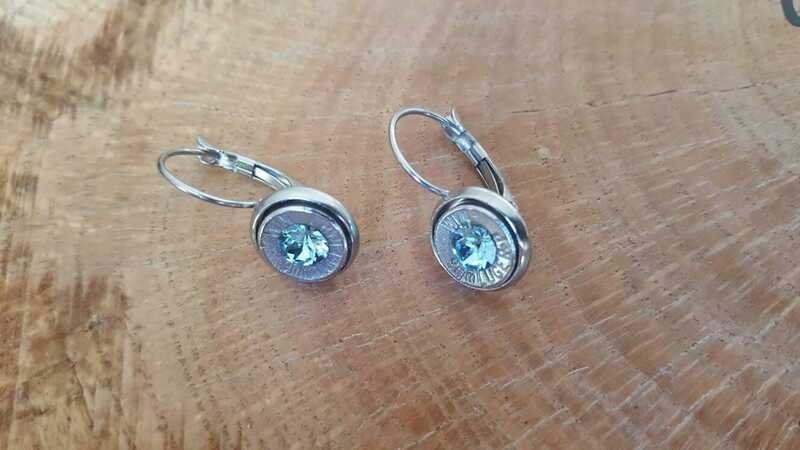 Hanging earrings with 9mm silver colored bullet ends, light blue Swarovski Crystal in center. 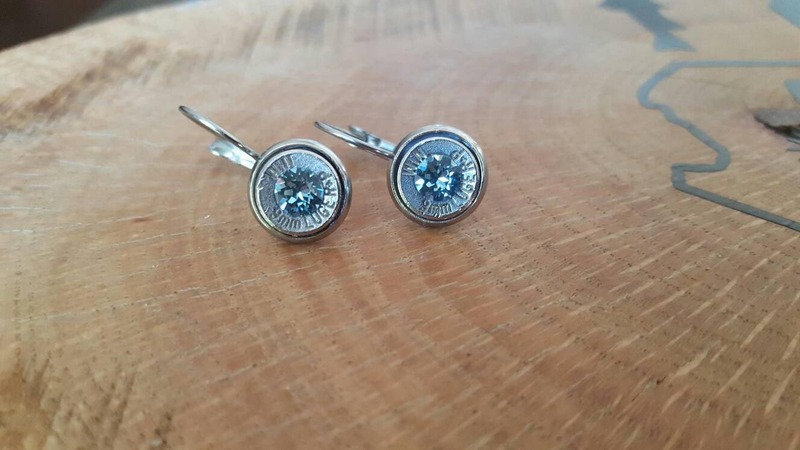 Backings made from stainless steel, which is hypoallergenic. 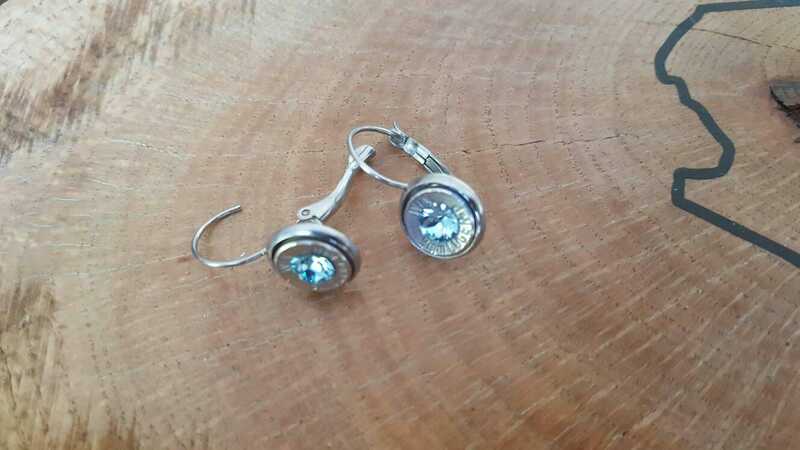 Lever backs.